Casey the new intern saves the hospital with his hacking skills. Grey's Anatomy Season 14 Episode 9: "Four Seasons in One Day"
Andrew: How is this my fault? Sam: Because I haven't slept because you penetrate me every five seconds. Permalink: Because I haven't slept because you penetrate me every five seconds. So you haven't been talking about me. I guess I should be grateful for that. Permalink: So you haven't been talking about me. I guess I should be grateful for that. 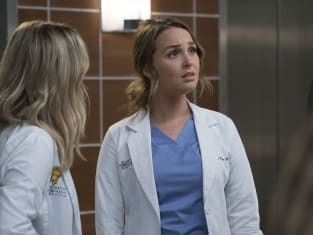 Grey's Anatomy Round Table: Jo's Best Episode Yet!